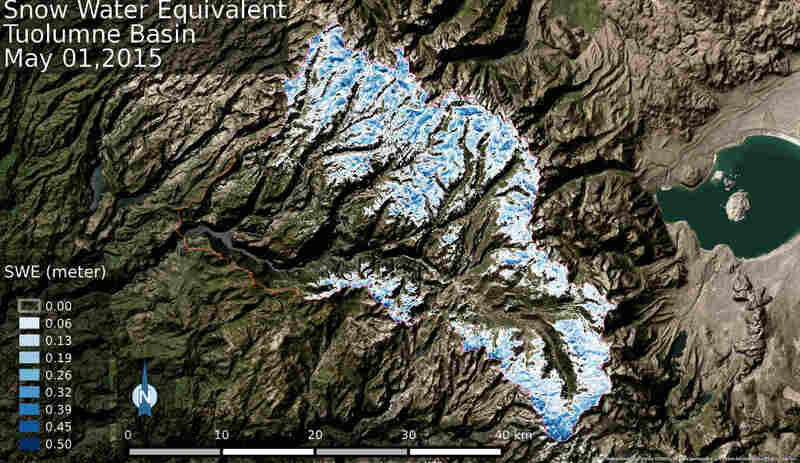 The two most critical properties for understanding snowmelt runoff and timing are the spatial and temporal distributions of snow water equivalent (SWE) and snow albedo. 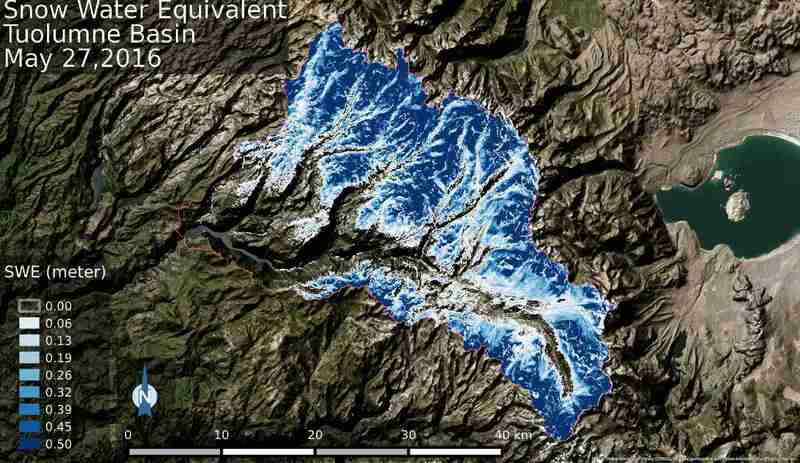 Despite their importance in controlling volume and timing of runoff, snowpack albedo and SWE are still largely unquantified in the US and not at all in most of the globe, leaving runoff models poorly constrained. 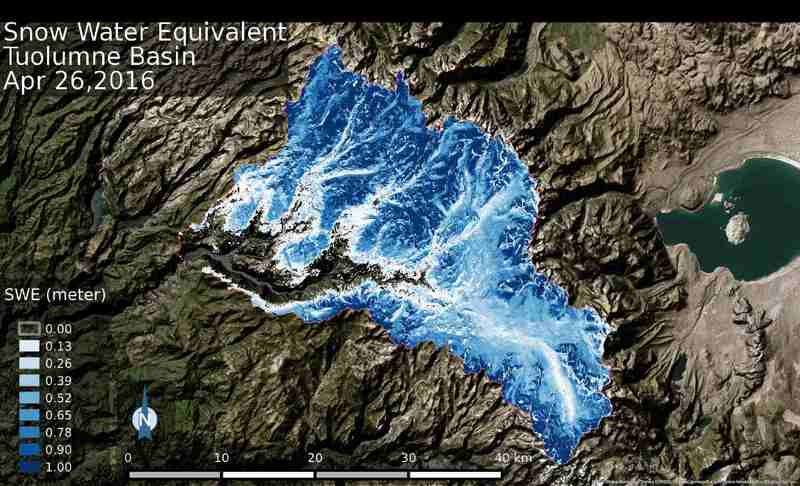 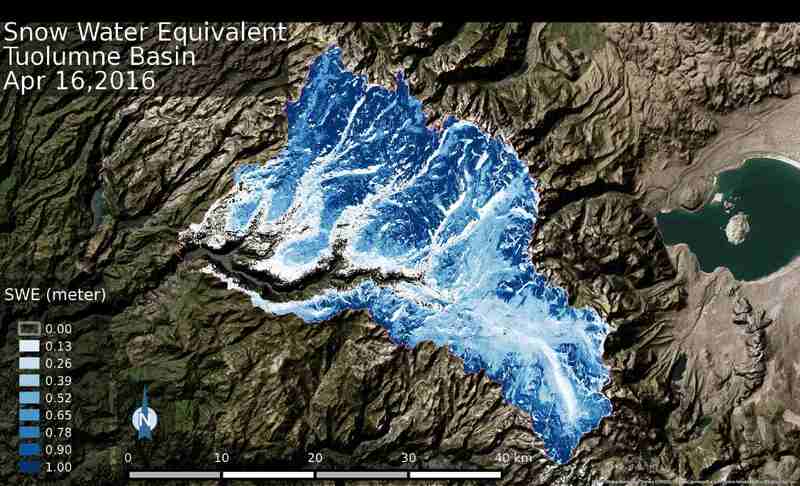 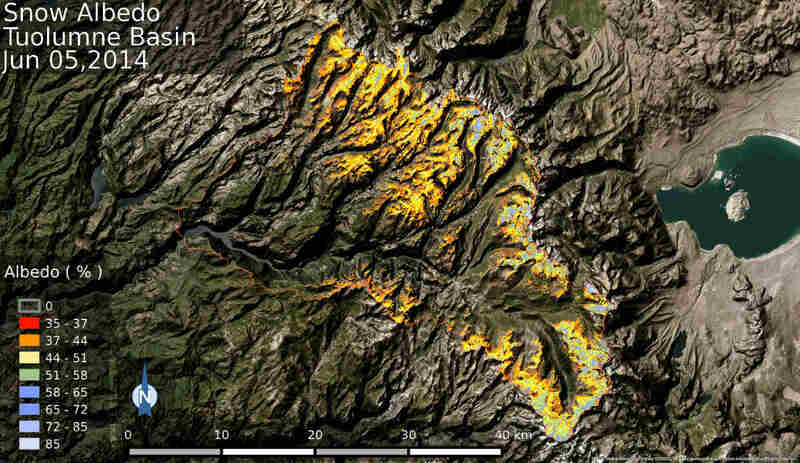 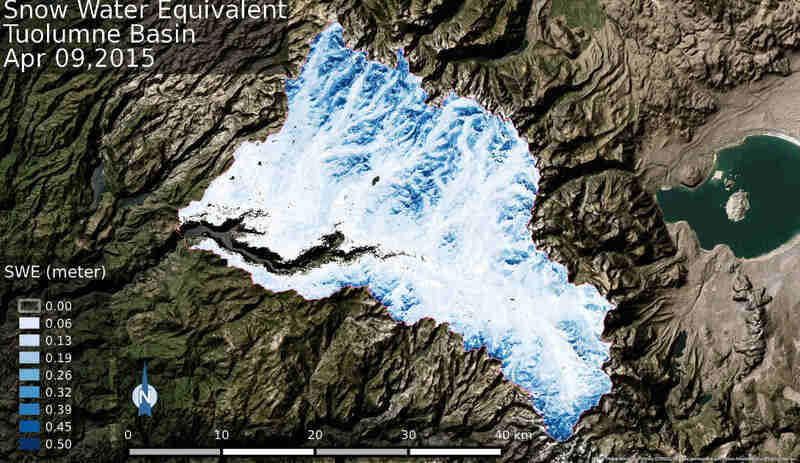 NASA/JPL, in partnership with the California Department of Water Resources, has developed the Airborne Snow Observatory (ASO), an imaging spectrometer and scanning lidar system, to quantify SWE and snow albedo, generate unprecedented knowledge of snow properties for cutting edge cryospheric science, and provide complete, robust inputs to water management models and systems of the future. NASA/JPL has created the Airborne Snow Observatory (ASO), a coupled imaging spectrometer and scanning lidar system. ASO uses the imaging spectrometer to quantify spectral albedo, broadband albedo, and radiative forcing by dust and black carbon in snow. The scanning lidar is used to determine snow depth against snow-free acquisitions and quantifies snow water equivalent when combined with in-situ constrained modeling of snow density. ASO uses an ITRES CASI-1500 imaging spectrometer, which captures imagery in 72 spectral bands from the visible to the near-Infrared. Ground pixel size is approximately 2m from a flight altitude of 15,000ft above ground level. This provides spectral albedo of the snow surface, which is used to determine the energy absorbed from incoming sunlight. This, combined with energy balance modeled from meteorological conditions, yields snowmelt rates. ASO uses a Riegl Q1560 scanning lidar, which captures the surface topography with < 10 cm vertical accuracy. Depth is calculated by subtracting a summer “snow-free” dataset from each winter “snow-on” dataset. The accuracy of these data is dependent upon precise knowledge of the aircraft position during the measurements. An integrated Applanix Inertial Measurement Unit (IMU) and GPS provide aircraft attitude and position information, and this information is combined with error corrections from an existing network of GPS base stations at fixed locations near the survey area. This combined use of the IMU for high-speed attitude information, along with the differential GPS solution for absolute position, yields the sub-decimeter aircraft trajectory accuracy necessary for LiDAR snow depth measurements. Track our flights on Flight Aware.